Michel Herr has composed and arranged music for numerous films and all kinds of media. His flexibility and his imagination allow him to contribute to contrasting projects without ever loosing his own touch. From simple and moving melodies to more abstract musical atmospheres, from the solo to the large ensembles, including strings, choir, big bands, chamber and symphony orchestras etc..., his wide musical palette covers many grounds with creativity, taste and sensitivity, covering with great professionalism all stages of musical production (studio recordings, conducting, mixing, etc ...). He also is very active as an arranger, orchestrator, conductor and producer. Michel Herr composed original music for this short animation film using cartoons by Philip Paquet in the program "Graphicology". The music was always performed live on the pictures by the Brussels Jazz Orchestra in many countries (a.o. at the Lincoln Center in New York). Michel Herr wrote a string arrangement for the song by N8n (featuring Toots Thielemans) used in this Belgian movie. The song "Don't want to waste more time" (excerpt on Amazon.com) is included in the CD of the soundtrack. Michel Herr worked here as an arranger/orchestrator of important additional reconstructed music used in this French/Belgian movie. Michel Herr wrote a very jazzy soundtrack for this award-winning movie, with a.o. the participation of US saxophonist Archie Shepp. The soundtrack has been released on CD & DVD. Belgique 1980, by Christian Debruyne & Christian Monty (documentary movie, 1980) (B). A documentary film made for the "Exploration du Monde" series on the occasion of the 150th anniversary of Belgium. Open other end, by Paul Leeman (short animation film, 1970) (B). L'affaire (Sergio Gobbi, 1994) (F), music by Vladimir Cosma recorded with a.o. Toots Thielemans (harmonica). The soundtrack has been released on CD. Suite 16 (B) (by Dominique Deruddere, 1994), ZAMU award 1994 as best film music. The soundtrack by Walter Hus has been released on CD. Une femme ou deux (F) (by Daniel Vigne, 1985), with Toots Thielemans. The soundtrack has been released on LP. De zware jongens (by Robbe de Hert, 1984) (B) (music by & with Toots Thielemans). Michel Herr is a member of the World Soundtrack Academy and the Belgian Screen Composers Guild (see his page on their website). He was many times a member of the jury of the Composition contest for young film music composers organized by the Ghent Film festival. He also participated as a panelist in a seminar on film music during the same festival. In 2005, he was invited to be a member of the official jury of the Namur "Festival du Film francophone". Un crime très populaire (Didier Grousset, France 2/RTBF/Jem Productions (F)/BE Films (B), 2007). Le coup du lapin (Didier Grousset, France 2/Super Woman Prod. (F), 1999). Le responsable (from the series Les monos) (Didier Grousset, Prod. Art et Cinéma, Gaumont Télévision, France 2 (F)/RTL TVI, 1998). Eclats de famille (Didier Grousset, France 3/Canal +/Alya Prod. (F), 1994). Django d'Or 2005 (Belgium) (RTBF La 2, 2005) (B) (+ video clip). Musical director and leader of the band (tentet) for a 2 hour show, recorded live at the Botanique, Brussels. A selection was broadcasted by RTBF tv La 2. Composition of the theme music, of several jingles and some other instrumental pieces. Mic Mac (ARTE TV, 2002) (+ video clip). Theme music for Mic Mac, a cultural magazine, ARTE TV. Arrangement of the theme music for the grand opening of VTM tv. 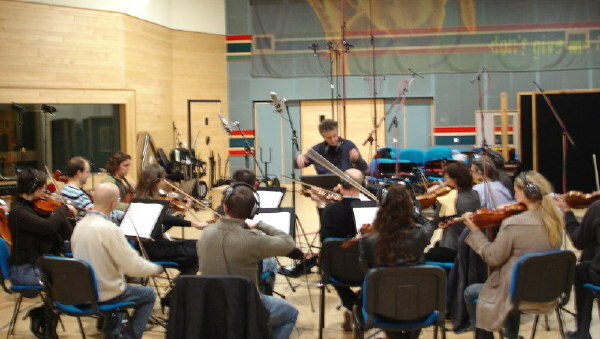 Michel Herr wrote the theme music, some jingles and several arrangements of famous movie themes. Passage : participation in the recording of the theme music of the tv show "Passages", on VRT (B), a theme composed by Frédéric Devreese, with Toots Thielemans (harmonica), etc... See a video of the recording session on Youtube. 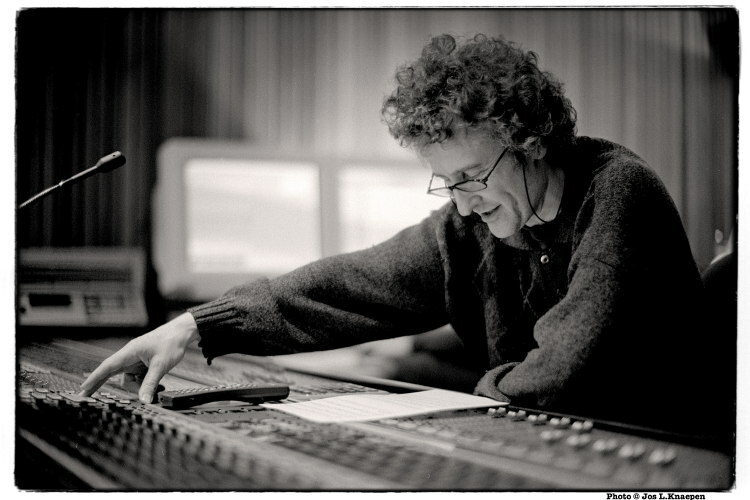 Michel Herr also has an international reputation as a jazz composer and arranger. Read more here.